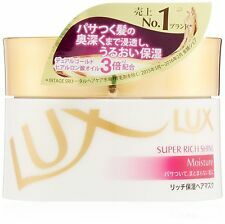 2 Lux Suprich Shine Conditioner Ratio. [Step 2] Evenly across the hair from the middle of the hair! 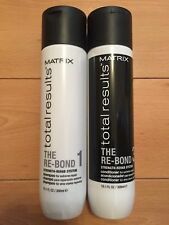 2 X SYOSS PROFESSIONAL PERFORMANCE REPAIR THERAPY CONDITIONER. FIG Extract Booster Hair Mask Revitalising 1000ml. This MagicalFig Extract Hair Mask Deeply Nourishes and Protects Your Hair. Its Unique Formula Enriched with Fig Vitalises the Hair Structure and Prevents Breakage. Organic Hemp Oil Hair & Body. Shampoo certified 62.3% Organic. Massage Oil certified 94% Organic. Conditioner certified 80% Organic. Body Milk certified 86% Organic. We do not cover this duty as we do not know its applicability or act on behalf. Jantar mist hair spray is based on a verified formula which has remained unchanged for many. Wheat Protein, Lauryldimonium Hydroxypropyl Hydrolyzed Wheat Starch, Propylene Glycol. Spray gently onto dry or wet hair. AVON Advance Techniques Absolute Perfection Conditioner. Advance Shield technology combines wheat amino acids, wheat protein, marine extracts and panthenol to create the ultimate conditioning blend; instantly detangle hair for smoother and silkier lucious locks. 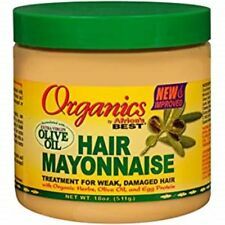 PROFESSIONAL HAIR MASK 1000 ml. T o use: After shampooing,towel dry and apply along lengths and end,massage and leave in for 5-10 minutes. An advanced serum formula based on a long tradition of using the unique properties of amber. Improving the condition of the hair from the first application. An advanced formula of shampoo, based on a long tradition of using the unique properties of amber. 1 BAR OF 120G. THIS IS A SOLID SHAMPOO BAR MADE WITH SHEA, COCOA BUTTER, ALMOND AND JOJOBA OIL. IT IS IDEAL FOR DRY, COLOURED OR HEAT TREATED HAIR. IT CAN ALSO BE USED ALL OVER THE BODY, FOR YOUR SKIN TO BENEFIT FROM ALL THE BUTTERS AND OILS AS MUCH AS YOUR HAIR. Rebuilds hair and strengthens its structure, nourishes the roots, stimulates hair growth, reduces seborrhea, dandruff and has an anti-inflammatory effect. How to use: massage warm oil into the scalp, leave it for 20-30 minutes and then wash your hair with shampoo, afterwards apply a balm, preferably one from Green Pharmacy series, dedicated to your hair type. Advanced replenishing formula enriched with Lipidium : hair instantly feels more resistant, soft & looks more shiny, as though repaired. ABSOLUT REPAIR. Instant Resurfacing Masque. - Instant reconstructing masque. Garnier Botanic Therapy Castor Oil and Almond shampoo 400ml and conditioner 200ml / hair weak and brittle. Garnier Botanic Therapy Olejek Rycynowy i Migdal szampon 400ml i odzywka 200ml / wlosy oslabione i lamliwe. Taking care of your hair daily and consistently to keep them healthy, beautiful, thick and to prevent them from falling is essential to feeling good about yourself. Improves combability and has a smoothing effect on the hair shaft; untangled, but not weighed down, the hair regains hydration, softness and shine. Pantene Pro-V Conditioner Repair & Protect with Pantene Pro-V advanced formula: our rich repairing collection. PANTENE PRO-V. Pantene Pro-V Conditioner Intensive Repair. REPAIR & PROTECT CONDITIONER 400ml. The hair balm smoothes hair, makes it shiny, soft, elastic, easy comb and style. Protects against external factors and prevents hair from becoming fluffy. Strengthens and nourishes the scalp, soothes irritations. PHYTO PARIS EXCEPTIONAL SHAMPOO & CONDITIONER. Conditioner is for Normal to Dry Hair. Condition is New.